​The saga surrounding controversial striker Aboubakar Kamara's long-term future at Fulham has been brought to an end on deadline day, as Yeni Malatyaspor have confirmed the signing of the 23-year-old, thought to be on loan with an option to buy. The striker signed from Amiens 18 months ago, and had featured regularly from the bench upon Fulham's return to the Premier League, before recent controversies both on and off the field marred his career with the club. He'll now look for a fresh start with the Super Lig's third-placed side, presumably ahead of a permanent exit in the summer. The saga surrounding the French attacker started during the 1-0 win over ​Huddersfield in December, when he took a penalty from established taker and top scorer Aleksandar Mitrovic with the score at 0-0, only to miss the spot-kick. 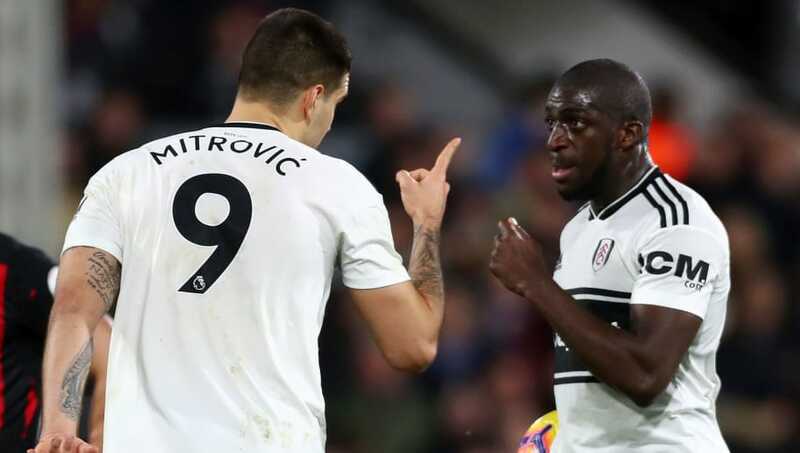 The man arrested at Fulham's training ground on Monday on suspicion of actual bodily harm and criminal damage was the club's French striker Aboubakar Kamara, BBC Sport understands. Mitrovic would bail him out by netting a late winner, saying after the match that there were no hard feelings between the two, but reports would emerge in the week to follow of a training ground dispute between the two. It all led to manager Claudio Ranieri banning Kamara from first-team training, before things descended even further when he was arrested for a ​reportedly violent incident involving the club's chief executive and security staff, and told to find a new club. Find a new club he has, however, and with controversy now well and truly in the rear-view mirror, Ranieri and ​Fulham will turn their full attentions to bridging the six-point gap between themselves and Premier League safety.